Cheers from The Bottom Shelf With Russ, still rating bottom shelf whiskey the old fashioned way! First, a recap of what we tried so far: Fleischmann's - the putrid poisoner, and THE Northern Lights - good gulper. We will now move on to Canada House blended whiskey. Canada House is not a big surprise, but just a middle of the road bottom shelfer (which is to say: not good). It did cause a Fleischmann's flashback. Is it possible to continue these experiments of bottom shelf whiskeys and not create permanent organ damage? Liver be damned, full speed ahead! In case you missed the last Nintendo Direct, there were only two new games announced, and both of them were Nintendo exclusive titles. 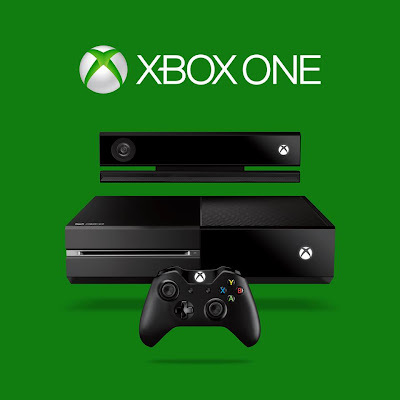 One of them was Sonic Lost World. 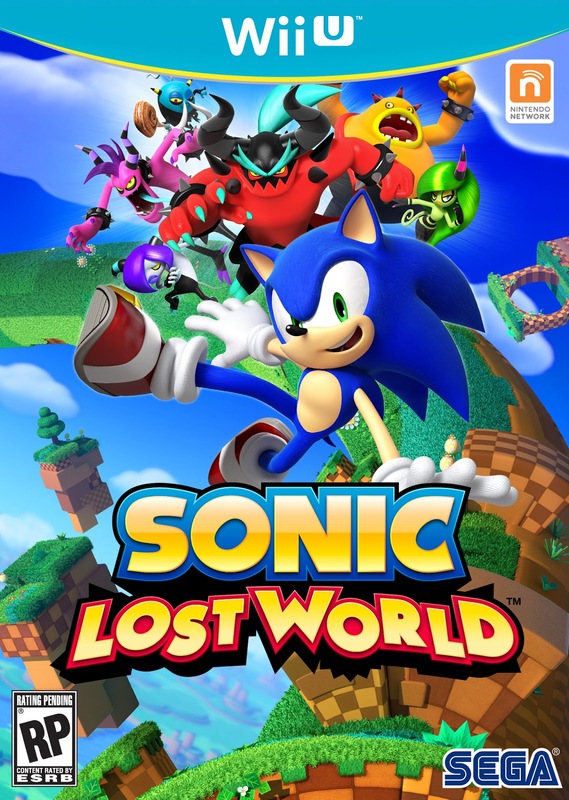 Unlike the previous Sonic games that were exclusive to the Nintendo Wii, this one actually looks good. In fact, it kinda looks like Sonic Adventure mashed up with Super Mario Galaxy, and I don't think that's a bad thing. The first trailer for the game has been released, and it shows footage from both the Wii U and 3DS versions of the title. You can check it out after the break. When I made my first list of must-have RiffTrax shorts, I realized that I was have a very difficult time narrowing the list down to just five. In fact, I ended up with over twenty. I decided that I would just need to make more lists. So, here are five more must-have RiffTrax Shorts. Welcome back to The Bottom Shelf With Russ. 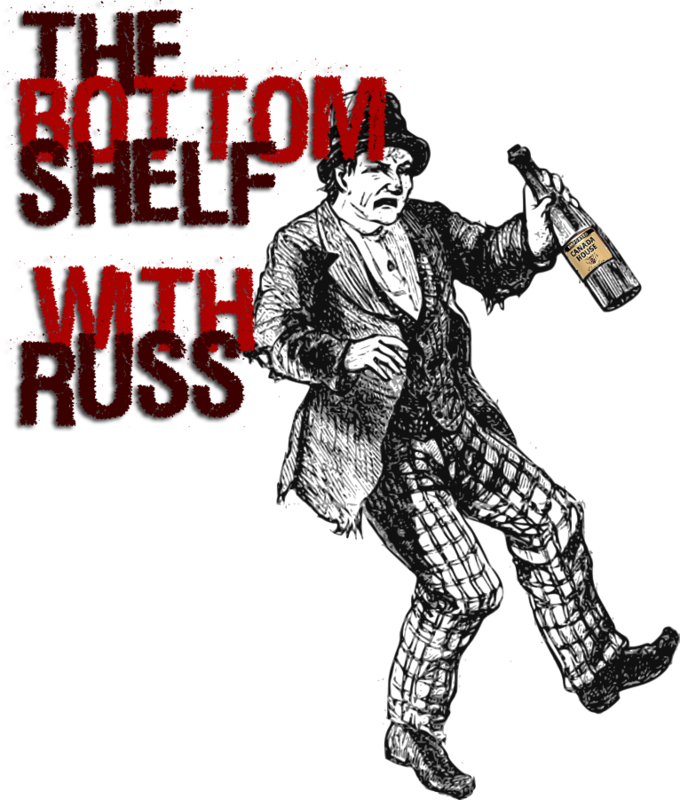 This week, I will be examining another bottom shelf whiskey: THE Northern Lights. I was anticipating disappointment and got it right away, because The Northern Lights comes in a plastic bottle. However, the price was right, at about the same as Fleischmann's(my previous review). On Thursday, I posted all of the different business signs from seasons one and two of Bob's Burgers. I even got all fancy and made a gif of them all. Well, today I have gone through and gotten all of the businesses from season three. Enjoy. If you're lucky, I might do all of the exterminators. One of the best shows currently on television is Bob's Burgers. If you've never seen it, I can only think to describe it as a mix between Archer and what The Simpsons used to be like. 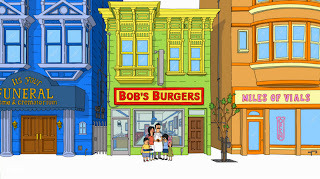 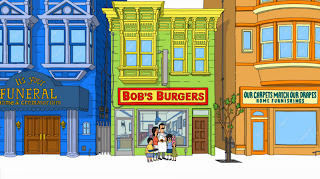 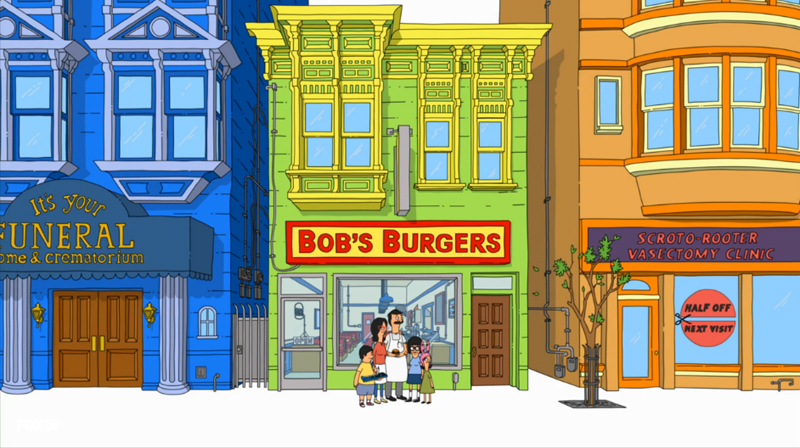 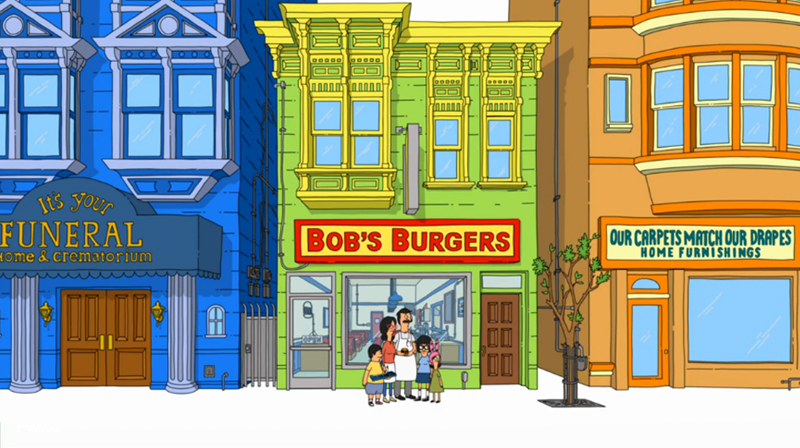 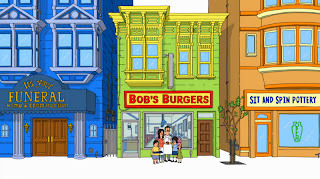 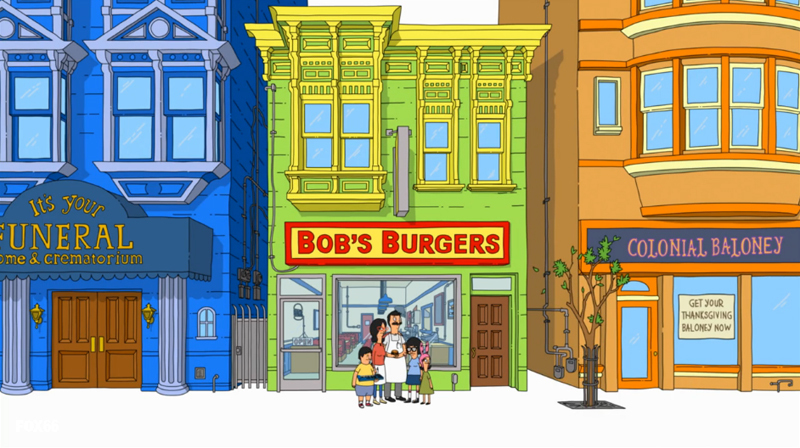 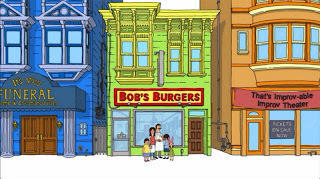 And much like The Simpsons, Bob's Burgers has things they change up in the title sequence with every episode. One of those things is the name of the businesses that are next door. I have gone through the first and second seasons and got images of them all. Click to launch the full gallery! Seriously though, the first two seasons are up on Netflix, and season three is on Hulu. Go watch it. Also, I'll have the businesses from season three tomorrow!